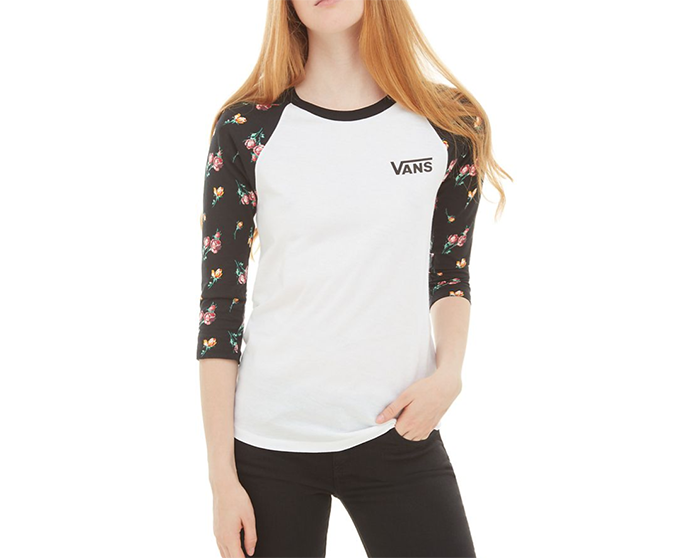 The Vans Satin Floral Raglan T-shirt has a contrasting sleeve and neckline. 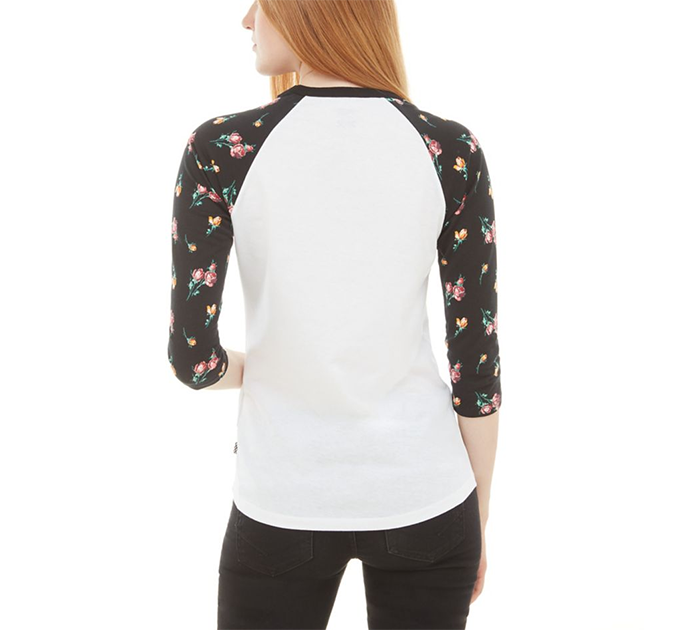 The sleeves, which are three quarter length, have an allover floral print. 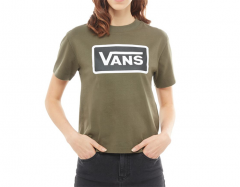 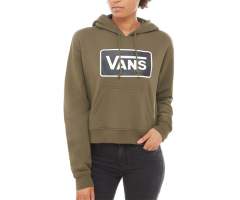 The Vans logo is on the left chest. 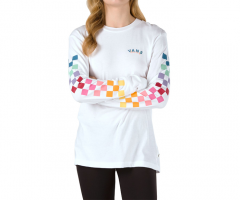 Model is 178 cm tall and wearing a size Small.